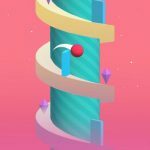 Color Switch was released in late 2015 for Android and iOS mobile platforms, and while there are many games with similar titles, we are referring to Color Switch by Fortafy Games. The goal here is to tap the ball carefully through each obstacle, and once you do that, your ball will switch color with power-ups. It’s important to follow the color pattern so you can cross the obstacle; if you pass through the wrong color, you will have to start from scratch. And with last week’s update, the game added a new mode called Challenge Mode, where you have to beat 30 different challengers. There are 75 new Reverse Challenges and, on top of the balls you can already unlock, 15 new ones. There’s also a Statistics Menu where you can check your progress in the game. We normally give you short and sweet lists of tips for casual games, but since there’s a brand-new feature, we’ve decided to give you a more in-depth Color Switch strategy guide that can help you with the basics of the original endless game, as well as Challenge Mode. 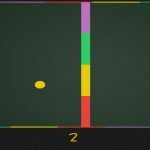 How quickly or how slowly should you be tapping so you can keep the ball where it should be while waiting for the correct color to come up? We’d say about two taps a second, or about 120 beats per minute in other words. And once you’re ready to go through the correct color, pick the pace up a bit, but don’t make it too quick. Otherwise, you might overshoot the shape, thus missing the right color when it comes back on the other side. Now, you might think that just because of the tip above there’s a time limit in this game. Actually, there isn’t. You can take as much time as you need while waiting for the right color to arrive. And since certain shapes change directions, observing and watching for a bit will allow you to get a good feel for the patterns. That should make it easier for you to jump through the correct color without unfortunately hitting the wrong color by accident. 3. Which Shape Is The Hardest To Get Through? Out of all the shapes in Color Switch, the clock-like circle is arguably the toughest one to deal with. This is the circle where the hands are moving counter-clockwise, so yes, we guess you can call it a reverse clock. In here, you will really need to wait a while to time things properly; the two main shapes in here will have to match before you try going through them. Wait until you’re sure the colors are lined up, or, if that’s too difficult to deal with, wait at least till the wrong colors are no longer present. Casual arcade titles like this can get to be very, very frustrating, so it does help if you take a breather from time to time. Perhaps 30-minute breaks will be fine, or you can focus on other things while staying away from the game. Once you’re done resting, there’s a good chance you’ll be back with a vengeance, feeling refreshed and ready to give those shapes another go. 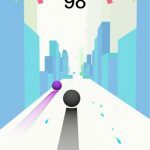 The highest possible score in Color Switch is 999, and if you check the Game Center or Google Play, you will notice that there are quite a few who have scored this high. There’s a good chance these are fake scores, so ignore this and look for more realistic ones by scrolling down a bit. One of the basics of Challenge Mode is that you will only have one or two specific types of obstacles per available challenge. These obstacles never change each time you play the level, which means if you don’t get it right the first time, the setting will be exactly the same when you try again. Normal endless mode, of course, has an unpredictable (or endless) number of circles to go through. But in Challenge Mode, you’ll only have a specific number of circles per level before you reach the end of the level. Usually, this is about three to five circles, depending on the level; easier levels tend to have less, while the harder ones have more than three to five. As of now, there are more than 100 challenge levels, and there’s a good chance the game’s makers will be adding more in future updates. The three degrees of difficulty here are Easy, Medium, and Hard; each level in the game is classified as such. 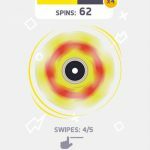 If you want to practice your skills in Color Switch, we advise you to play the Hard levels, as these ones will really require you to act quick. Also expect to see the obstacles in Challenge Mode appear in endless mode, which means Challenge Mode could be good practice too if you’re trying to beat a certain score on endless. Last week’s big update also introduced a new form of currency called stars. With stars, you will earn more of these as you score more on Challenge Mode and endless mode alike. Naturally, there is much bigger star-earning potential in endless mode than there is in the Challenge levels, so if you’re farming for stars, give it your best shot in the classic, or endless mode of the game. Stars can be used to purchase new shapes for the ball, which do not change gameplay; all the changes are purely aesthetic, even if some balls are cheaper or costlier than others. In addition, there are some balls that you’ll only be able to unlock by completing a certain number of challenges. In fact, the hardest one to unlock requires you to beat ALL Challenge Mode levels currently available.